„Bauhaus Open Studios – Teaching Models“ – a project of Bauhaus Dessau Foundation in Cooperation with NB Haifa School of Design, Department of Architecture & Reiseuni_lab. In the workshop trilogy "Pioneers of the Modern", the Berlin-based architect Dagmar Jäger has been working with colleagues from Reiseuni_lab and architecture students from Europe, Canada, Israel and Iran since 2016 to investigate design approaches for an exhibition promenade in the public realm of Dessau. The aim of the design work was to link the Bauhaus Foundation, the new museum and the no longer visible sites of the Bauhäusler’s legacies through a network of designed paths and also to formulate site-specific curatorial themes. This year, the third cooperation has been realized with 14 Israeli students and the architects Lenka Cederbaum and Eyal Malka of the NB Haifa School of Design. The subtitles of the workshop series – re-imported, revealed, transplanted – each contain different working hypotheses and experimental design strategies that were dialogically enriched by the annual themes of the Bauhaus – movement, substance, standard – in order to develop the aesthetic, political and pedagogical design work from three perspectives, building on one another. 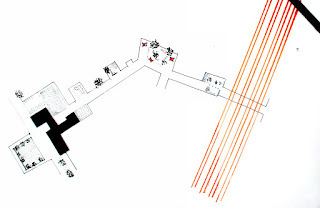 In the first year, movement studies between the Kornhaus and settlement Dessau-Törten serve to analyse and develop the network of paths for the exhibition in order to 're-import' the Bauhäusler visually into the public realm. In 2017, the students designed pop-up concepts for 'revealing' the Bauhaus artists' stories on individual sections of the pathway in order to narrate the updated substance of the Bauhaus today. And this year, aesthetic messages - architectural designs by the Bauhäusler from Israel – were 'transplanted' virtually via photocollages into central urban situations located on the exhibition network in order to continue the Bauhaus' prototypical setting of standards. In the run-up to this workshop, students from Haifa researched buildings of the modern era designed by former Bauhaus students in Israel such as Arieh Sharon, Shmuel Mestechkin or Munio Weinraub from the 1920s onwards. The opening lecture of Dagmar Jäger “Urbex Haifa” reflected the co-existence of nature and culture in the grown living environment of Hadar Ha Carmel today. During the workshop, suitable urban perspectives within the network of paths in Dessau have been identified, to be visually overlaid with Israel's vivid, non-musealized Bauhaus legacy in order to critically question the today’s quality of urban living areas and architectural positions, as they became exemplarily conventionalized in German small towns like Dessau, including architecture representations of the Nazi time after 1933, the car friendly urban concepts after 1945 and the investor-oriented building activities after the fall of the wall. 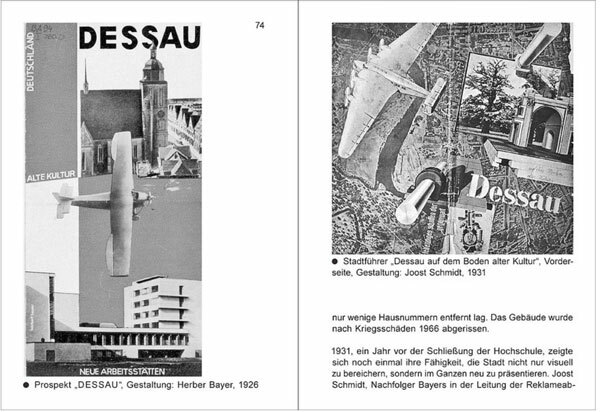 Since 2016, two parts of a workshop trilogy about the “Pioneers of Modernism” has taken place in Dessau to trace the historical, partly destroyed representations and and pioneering concepts related to the Bauhaus period in Dessau from 1925 -1932. 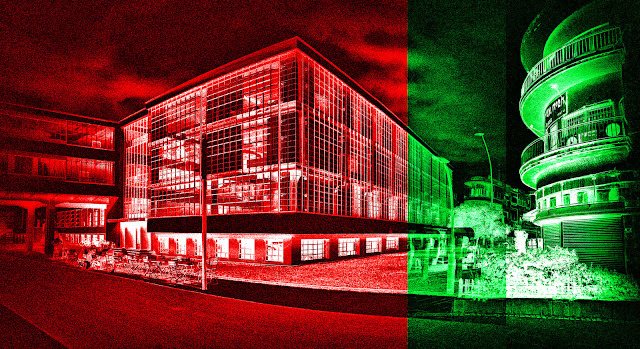 The first results, a public space network, has been connecting multifaceted urban situations as an exhibition pathway to reveal in-situ spaces of modern architecture, designs, performances and concepts of the Bauhaus era in Dessau between the Bauhaus Foundation, the former industrial area of Dessau, the Kornhaus and the new Museum – modern heritage which had been destroyed, neglected or re-habilitated. The three Workshop titles talk about three working hypotheses: “Pioneers of the Modern: Re-imported”, “Pioneers of the Modern: Revealed”, and now “Pioneers of the Modern: Transplanted” – implicating as well three artistic design strategies which have served to actualize the modern heritage through the prescribed approaches of first re-importing the Masters and Bauhäusler, of second revealing the described traces in city texture of Dessau and of third transplanting the ‘migrated design positions’ of Haifa. 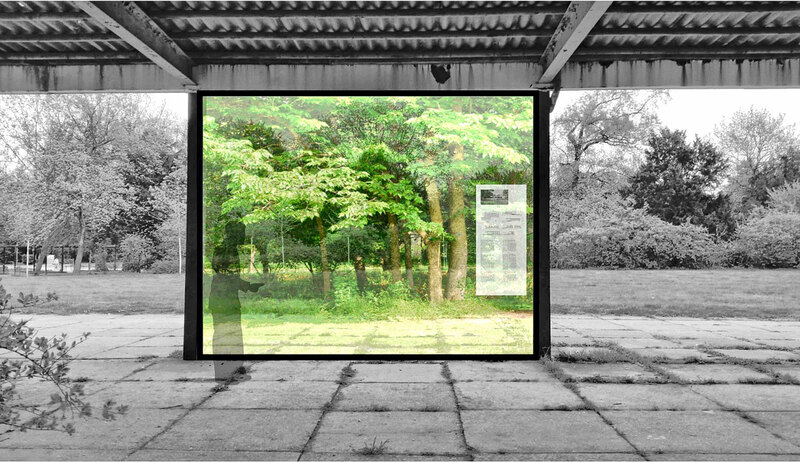 The first design concept of an urban network and exhibition approach resulted in ‘pop up installations’ of the ‘Bauhaus Masters’ or ‘the Bauhäusler’ in different sites of Dessau to display concepts and memories of personalities within a public space pathway (like the concept of Elena Ursone who proposed to listen the Bauhäusler’s voices, frames located between the station and the Bauhaus foundation, the WS 2016). Further the revealing of the hidden heritage – like former Bauhaus activities or realized buildings and settlements which have been destroyed through the Nazi period or later neglected, has been focused in the second workshop (e.g. visible in the ‘industrial promenade’ of Joachim Dietz, 2017). 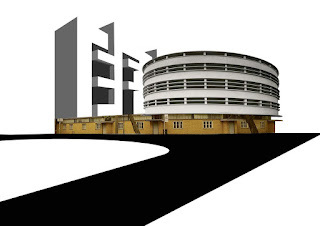 Now we will ‘transplant’ the modern spirit of Haifa after the Bauhaus era back to Dessau’s city through visual manifests which will intertwine and transform the modern heritage of Haifa to selected sites of Dessau. With our workshop contribution, we will postulate the term ‚standard‘ as an opportunity to question the ‚quality' of the modern architecture laboratory as a programmatic horizon defining a ‘standard’. The position of a socially responsible, contemporary design which was lived by the ‘Bauhäusler’, today has to deal with existing contexts of conflicting urban layers which could be further developed through architectural concepts, programs and visions. The potential of perceiving, adopting and advancing historic design contributions within a dynamic process of learning over generations and across borders and political periods might be the consequence of an activated knowledge migration. Research: First, find out an Israeli architect – who had spent some time at Bauhaus Dessau / Weimar / Berlin or who had any biographical link to one of the Bauhaus alumni or teachers as studio staff member, partner or cooperator somewhere in the world or where you find another convincing link as influence for the design – and who realized some modern heritage buildings in Israel. 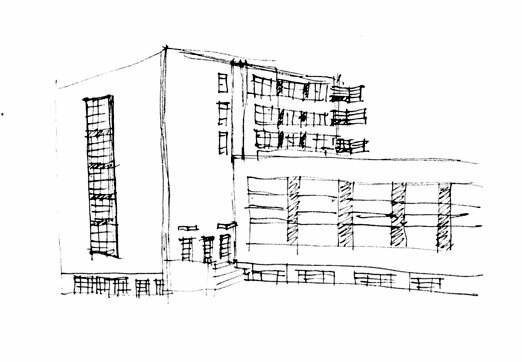 The selected buildings should represent the modern spirit for the new society in functionality, social ambition, formal language, pioneering in construction or typology etc. The typologies can range from living, residence, culture, health, education, kibbutzim etc. and should not necessarily be rehabilitated but could also be transformed, neglected or adopted by the residents in their own understanding of today. Documentation: In the next step, document your choice of at least 3 of his/her buildings and/or concepts. Take photos and sketches of many views and in different scales / take multiple perspectives and collect historical material of plans, sketches, photographs, programmatic and constructive information, the way of daily use. The result of this first period shall be displayed at the beginning of the workshop in Dessau on Monday. Format: A3 format, horizontal, left full-size square for pictures 29,7x29,7, rest for text incl. data of building/architect. If wished, the project should take place as team work of two. At Bauhaus studios, you will be introduced into the exhibition pathway. Some selected sites between the new museum, the Bauhaus foundation, Kornhaus and the industrial area will be focused so that you are invited to partly re-design some specific situations. You will have to find out and define ‘improvable’ urban sites within the spatial selection which you will further develop by the artistic strategy of ‘transplantation’ of the selected, ‘migrated’ and implemented architecture of Haifa. By adopting the historical design (through transforming like copy-paste, stretching, cutting, multiplying, mixing new the design as a design material etc.…), you will design and visualize an alternative version of modern living and urbanity as an optional re-interpretation. The design can be created by any ‘tool mix’ between photomontage, collage or photorealistic representation, showing your intention and alternative concept for the site and urban context including the transferred and adopted buildings of modern heritage, what you have brought from Israel, with a couple of ‘key pictures’. The city of Dessau is one of the most contrasting smaller cities of modern built heritage in Germany, with a large landscape garden of the 18th century Dessau Wörlitzer Gartenreich, and at the same time widely destroyed during the second world war, rebuilt or neglected since then. 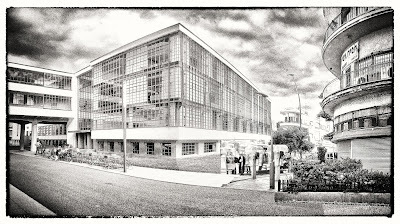 During the time after 1932, the Bauhaus activities have not only been stalled, the built heritage abused or destroyed but also the responsible were pocketing pioneering industries towards war and murder activities (like the cyclone B production). The aim of the workshop for all participants - professors and students -, is to learn about knowledge migration, architecture biographies and design intentions of pioneers, but also to discuss the contradicting history of Germany and Europe and how to creatively trace this in an public realm exhibition of a city today. Since the fall of the wall, Dessau is losing inhabitants, having to suffer un-employment and partly social decrease, but inhabits on the other hand a rich and rehabilitated modern heritage, a Federal Environment Agency (Umweltbundesamt) and the dynamic Bauhaus activities attracting each year more than a million of international culture tourists, opening a new museum in 2019 at the city’s main square. ∙Claudia Perren, Dr.-Ing., Director + CEO, Bauhaus Dessau Foundation. ∙Florian Strob, Dr., Research Associate, Bauhaus Foundation. ∙Dagmar Jäger + Christian Pieper, Reiseuni_lab, Berlin. “A standard is a specification according to which something is to be produced, implemented or applied. It lives from simplification and repetition. And it is these standards that shape our daily lives beyond industrial production: from the sciences to fundamental social agreements such as human rights. Bauhaus Program 2018). [Fig. 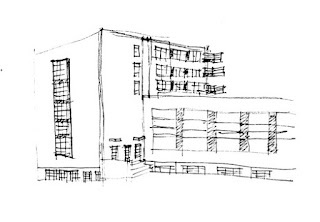 07] Die unsichtbare Bauhausstadt. 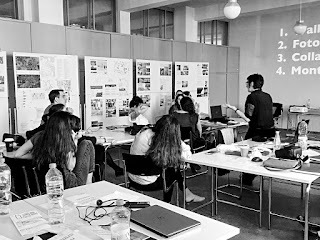 The international, postgraduate students of the Reiseuni_lab [Class-04, 2016-2018] arrive from Haifa, NB School of Architecture and Design (workshop 5) to Bauhaus Dessau (Workshop 6) to investigate spatial, urban concepts in the context of the visible and intangible modern heritage of Dessau. The tracing of the historical, partly destroyed representations and related sites of the Bauhaus period until 1933 will be connected in a “Public Space Exhibition” to bridge the modern architecture, historical designs, performances and concepts of the Bauhaus interventions to the new buildings like the Museum 2019, activities of the city and the contemporary artistic projects of the Bauhaus foundation nowadays. During two weeks, the international group of students will deepen a concept what has been developed of the international Reiseuni_Class-03, 2016: An urban network of interventions for knowledge transfer revealing the modern heritage in Dessau. “With its annual theme Substance, the Bauhaus Dessau Foundation focuses on the dialogue between substance and design: on the substance of ideas, on substance as topic and material, on substantial forms, on the preservation of substance and on the substance of the Bauhaus as an institution.” (Dr. Claudia Perren, Bauhaus Programme 2017). 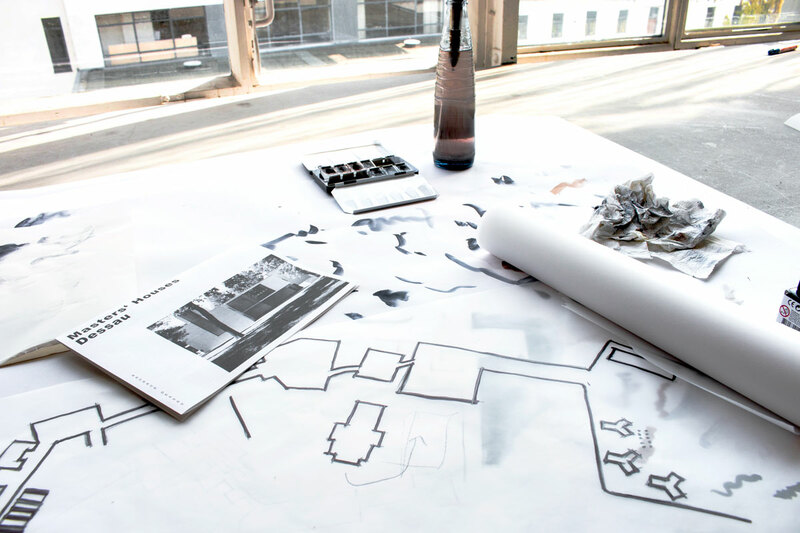 The six pathway concepts – Theatre, Massproduction, Industries, Design stages, Masters and Bauhäusler – create the basis for an exhibition proposal. The concept finding will take place in dialogue with material approaches of the Bauhäusler during the Dessau period of the 20th. 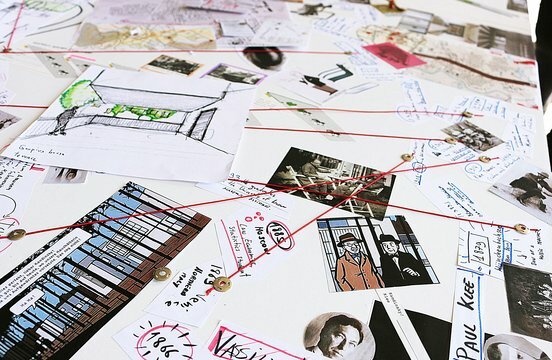 The investigation of the modern traces leads to heterogeneous and trans medial proposals of knowledge transfer in the public realm – a network of exhibition pathways as a public space choreography. The results will be presented and finally discussed with the team of the foundation and international guests. 09:00: Studio work and preparation of final exhibition. Students & Dr. Claudia Perren, Prof. Dr. Dagmar Jäger, with Bauhaus foundation experts and international guest lecturers Prof. Dr. Katrin Paadam (Tallinn), Prof. Pentti Karoja (Helsinki). Room: Will be announced. “Traditionally, movement means change, emergence and progress. 2016, the annual programme of the Bauhaus foundation focus on the phenomenon “Movement at Bauhaus”, starting from the historical position towards the contemporary and future relevance.” (Dr. Claudia Perren, Bauhaus Programm 2016). 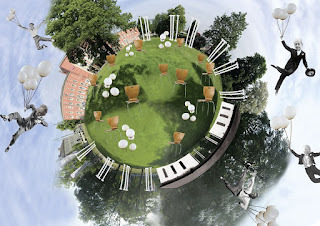 14:30: ArchitecTour II (Dessau Süd): Site Visit (with bicycles) of modern built heritage of Dessau with DJ and N.N. 17:00: Presentation of ‘Mapping’ with CP + DJ + N.N. 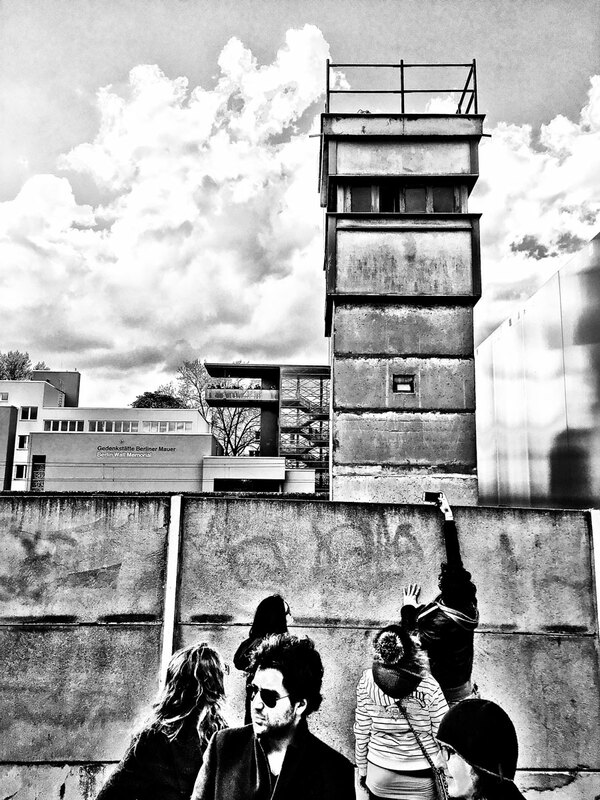 14:30: ArchitecTour III: “Brain storming tour” with bicycles along the pathway with CP + DJ + N.N. All Participants discuss the results with the professors (CP + DJ + RM), the Bauhaus guest Lecturers & Esa Laaksonen, and expert guests of Dessau & abroad; place and exhibition: Will be announced. In literature, there is an infinite number of examples of descriptions of rooms, locations, places, in short descriptions of "space". They are seldom described analytically, but almost always atmospherically. For example, the texts of a story contain concrete statements about the house, the loft or attic room, the stairs, the windows, the beams etc., which produce conceptional images. By translating or transferring such textual descriptions into architecture, into “space”, primarily no aesthetic context is followed. Means are sought in order to create spatial effect; patterns are combined; an event structure is developed via which a verification of the story may be expected. Present the essence of your analysis as a drawing or sketch (draw only that which the text can express - even if the sketch must remain fragmented). Interpret your translation of the text passage in a few words. Now sketch the room/spatial representation which was formed in your imagination while reading the text. In a few words, try to name the associations and/or your intentions . See yourself as a stage designer or scenographer/set designer in a film team which design scenes. This concerns the correlation/relationship between an idea and its translation to a spatial situation. The text passage you have chosen is virtually the assignment for the design of the space/room. Students from the Berlin University of the Arts and from the international postgraduate study program Architektur.Studium.Generale (ASG) based at the Brandenburgischen Technischen Universität Cottbus will engage in an exploratory investigation of the relationship between body, sound, moving image and space. 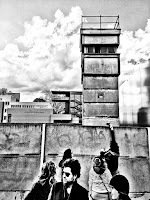 Through artistic demographic research urban interventions will be developed in the Berlin district Wedding. In January 2 till 6, 2012, the program commences with a weeklong tuning workshop. Participants will be daily divided into alternating teams through which they will be invited to respond to tasks and exercises drawn from dance, sound and moving image in order to investigate innovative transdisciplinary approaches to notions of architectural space. The workshop takes place in the context of the UDK transdisciplinary project week Kollisionen under the direction of the department of Design. Results of all workshops will be shown in a university based open presentation on Friday January 6, 2012. The m3 project will continue until February with production teams identified in the workshop and who will conceive, develop and implement a joint collaborative project over the following month. During this phase, individual teams will be allotted to each of the three project leaders, who, in weekly meetings, will discuss and offer advice on questions of content and project development. Individual mentoring will be possible on request. Participants will be able consult up to two of the project leaders. Completed projects will be presented discussed and evaluated in the sixth calendar week.